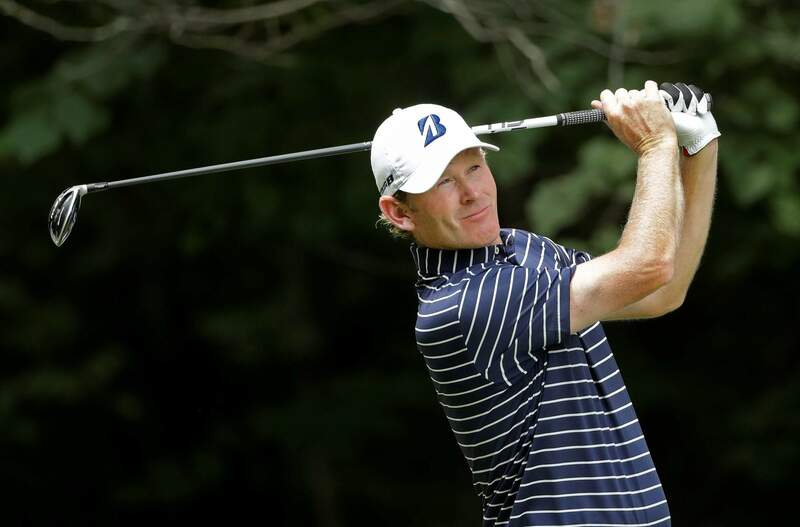 Brandt Snedeker watches his tee shot on the second hole during the final round of the Wyndham Championship golf tournament at Sedgefield Country Club in Greensboro, N.C., on Sunday. 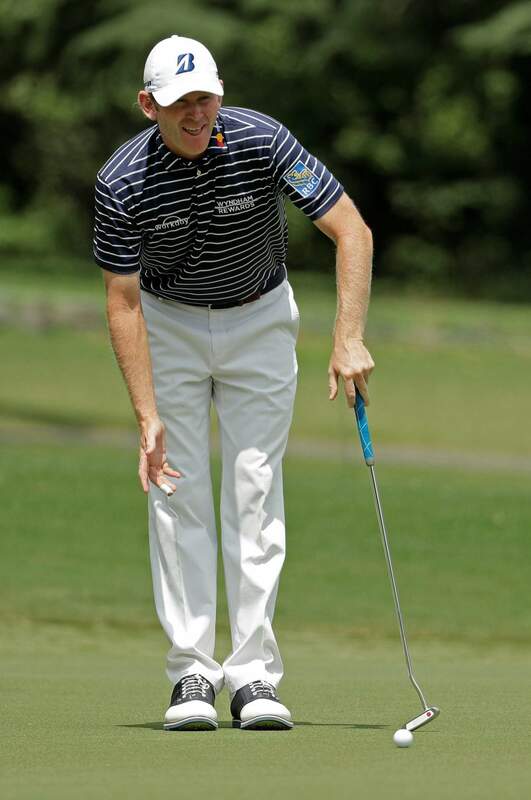 Brandt Snedeker reacts to his putt on the first hole during the final round of the Wyndham Championship golf tournament at Sedgefield Country Club in Greensboro, N.C., on Sunday. 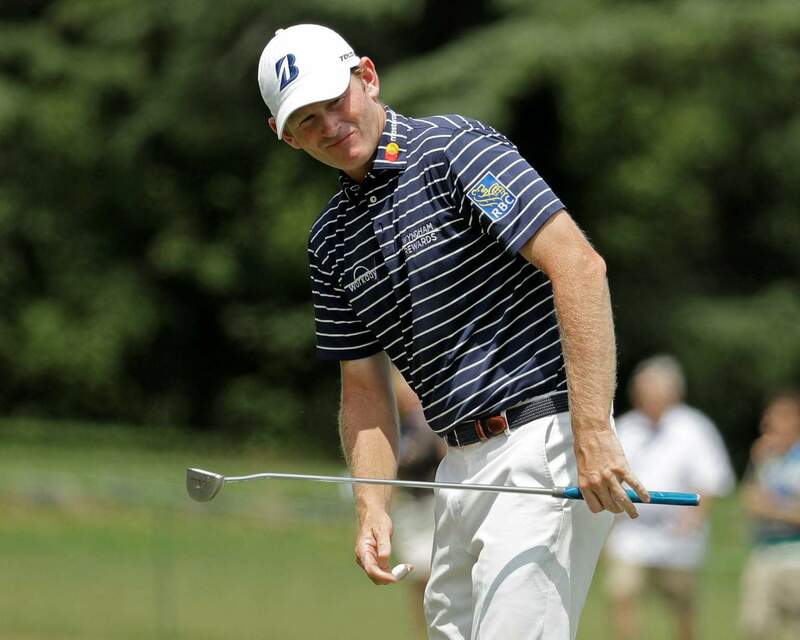 GREENSBORO, N.C. – Brandt Snedeker began the Wyndham Championship with history – and ended it with a victory. He was never in danger of missing the playoffs for the first time in his career, but the victory gave him a huge jump on the points list. He climbed 50 spots to No. 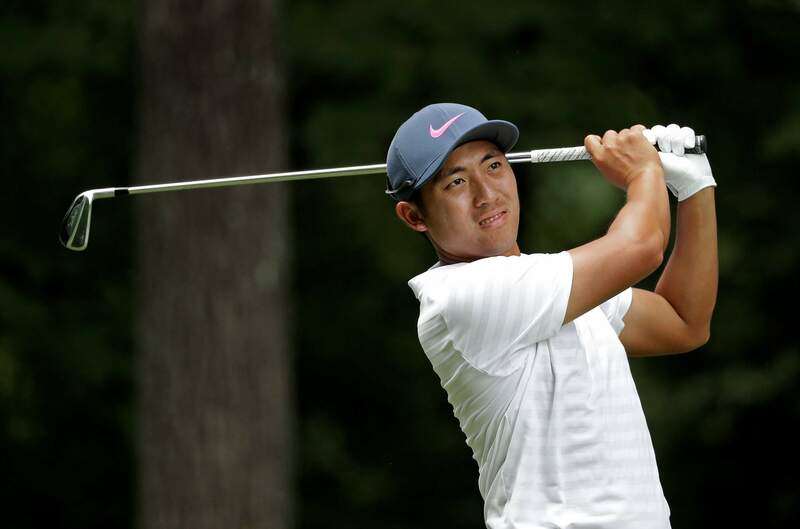 30 on the list, after arriving at 80th – which would have been his lowest finish.